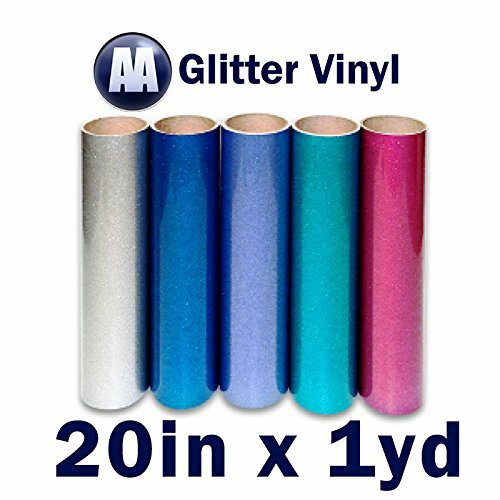 Heat Applied Glitter Vinyl 20" WIDE Choose From Various Vibrant Colors High Quality Best Pricing Guaranteed! Cut vinyl with a GX-24 cutter using a 60 degree blade at approximately 150 pressure, slow cutter speed for detail. Apply with a heat press set at 350°F (177°C) for 10 - 15 seconds using medium to heavy pressure. Cold peel the carrier sheet after pressing is complete. If you have any questions about this product by All American, contact us by completing and submitting the form below. If you are looking for a specif part number, please include it with your message.